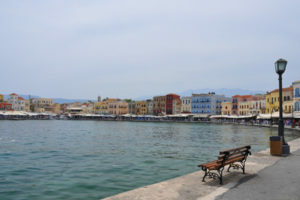 The heart of Chania is the Old Town. Start at the Agora and try local Greek cheese pie, fresh fish, and walk away with a tin of locally made olive oil and some spices. Stroll the Jewish Quarter to see lots of historic buildings and a synagogue. The Venetian Harbor with its lighthouse is the cityâ€™s trademark. It was built by the Venetians between 1320 and 1356. The harbor, along with its surrounding area, is famous for its magnificent architecture that combines Eastern and Western elements. 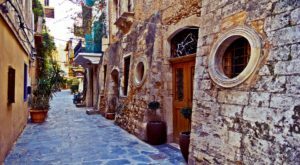 It is a nostalgic place full of historical memories but at the same time very vivid thanks to the modern cafes and restaurants near the harbor where you can taste the traditional cretan cusine. 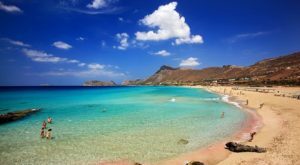 Elafonisi beach is located at the Southern West part of Crete and it is approximately 75km from Chania. 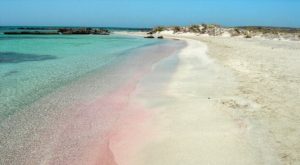 It is famous for its crystal clear waters and pink sand, created by millions of pinks shells which, over the years, have been broken into tiny pieces from the waves.Â In 2000, the area was included in Natura protected areas, as it is full of dunes, white lilies and cedars. 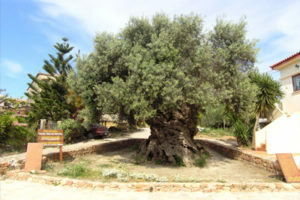 The Olive Tree Museum of Vouves is ideally located next to the Monumental Olive Tree of Vouves, the oldest olive tree in the world, which is visited by approximately 20.000 people every year from all over the world, The museum is housed in a traditional building, which maintains all the characteristics of an austere and, at the same time, authentic, intelligent and functional folk architecture of this area, The Olive Tree Museum of Vouves is located in the village of Ano Vouves, aprox. 30 km west of Chania. Take the Chania â€“ Kissamos national road (E65) and use the Kolibari exit, in order to proceed west (to the left) towards the Village of Spilia. 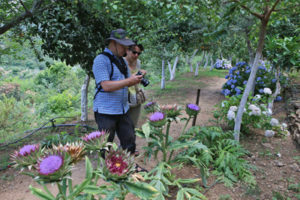 Then, just follow the signs leading to Ano Vouves village and to the Olive Tree Museum of Vouves. 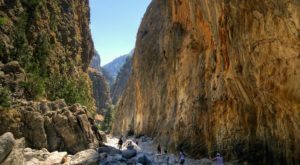 Samaria Gorge is one of the most scenic places on the island, and just getting there is an adventure.Our suggestion is to take a bus from Chania town to the village of Omalos, which will leave very early in the morning( that is for the reason that after a 4 hours walking inside the gorge you will be far away from your rental car). Youâ€™ll head for Agia Roumeli and take a dive into the gorgeous Libyan Sea. You will need to take short boat ride to either Sougia village or Sfakia town to get back to Chania. Itâ€™s about four hours total round trip, so bring great walking shoes. Therisso a small, picturesque village a few kilometres outside Chania, is a historic place. It was the hometown of Cretan revolutionaries Vassilis, Giannis and Stefanos Halis who played an important role in the fight against the Turks and the liberation of Crete. Later, in 1905, Eleftherios Venizelos organized the Revolutionary Assembly in the village that ousted Prince George and precipitated the independence of Crete and its unification with Greece. 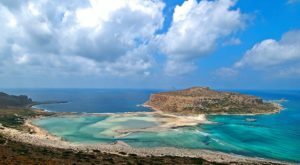 Falassarna are located 59 km west of Chania and is one of the most popular tourist destinations. They include 5 spectacular beaches, stretching for several kilometers and stands out for its beautiful white sand and crystal clear waters. 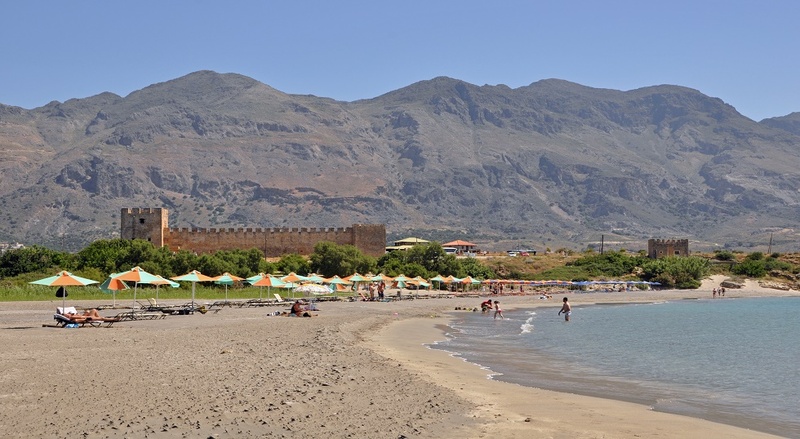 North, just a few meters from the beach, there isÂ the archaeological site of ancient Falassarna, discovered about the 5th century BC and was one important ancient city of western Crete with rich history. 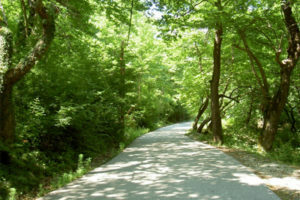 Since 2000, Falassarna has been declared as Natura protected area, due to flora and fauna diversity in the region. You’ll need to negotiate a challenging seven-kilometer rough track, running along Gramvousa Peninsula – be sure to go slowly and carefully. From the car park, hike down a steep footpath (20 minutes), to arrive at this enchanting white sand beach, which extends to a stunning turquoise and emerald-green lagoon. 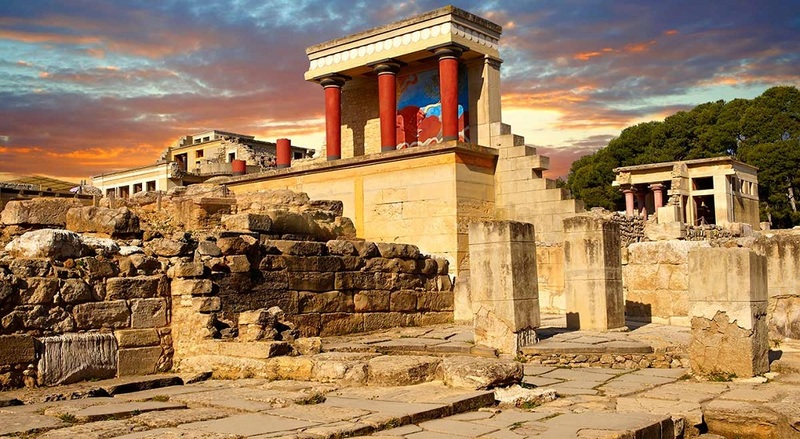 Knossos is the most important centre of the Minoan civilization, the first civilization on European territory, and it is located 5 km south of the historic center of Heraklion. The Palace of Knossos is the most important archaeological site in Crete, as was a source of inspiration for many myths like that of the Minotaur. While browsing at the site of the Palace, the visitor can admire a truly labyrinthine arrangement of corridors and rooms and study the excellent architectural innovations (e.g., water and sewage networks, skylights for lighting and ventilation of lower levels, apartments with bathrooms and toilets) competing in creativity even the most modern constructions. 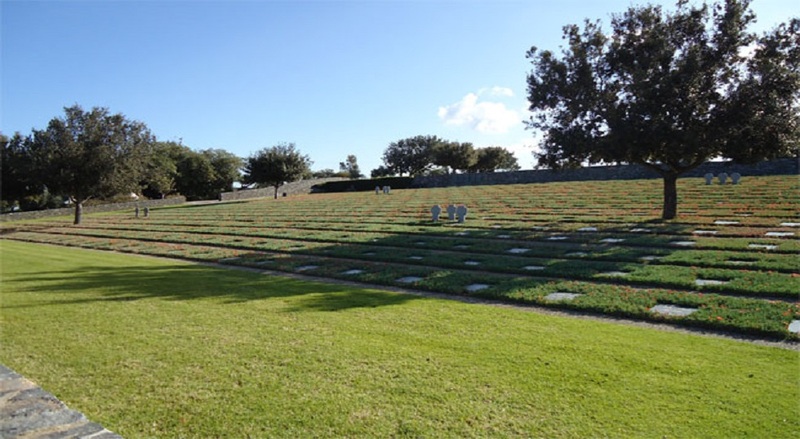 The German military cemetery in Maleme founded in 1974 by former German commander Gericke and is one of the most important monuments of the 2nd World War in Crete. 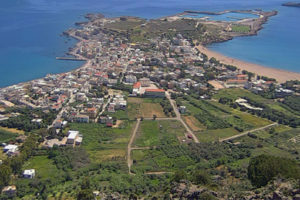 The historic cemetery is located on the north coast of Crete, 3 km south of the village Maleme and 20 km west of Chania. The cemetery is located on a hill that was vital for the control of the airport of Chania that was in the place where today there is the small airport of Maleme. In this area they are buried 4,465 German soldiers from all over the island, most of whom were paratroopers who were killed during the invasion of Crete. The Famous Frangokastello (Castle of the Franks) is a small coastal village on the south side of the island, it is 80 km away from Chania and it borders to Libyan Sea. It is a favorite destination for those who love the solitude, the wild nature and sandy beaches with crystal clear waters. There, locals will tell you about the phenomenon of Drosoulites. So they called the shadows of lost fighters who, according to legend, are shown at the morning dew (especially in May) going from east to west. The magnificent pictures of Frangokastello complements the impressive Venetian castle that adorns the beach of the village which was built by the Venetian feudal lords of Chania in 1371-1374, to tackle pirates and rebellions of the locals.